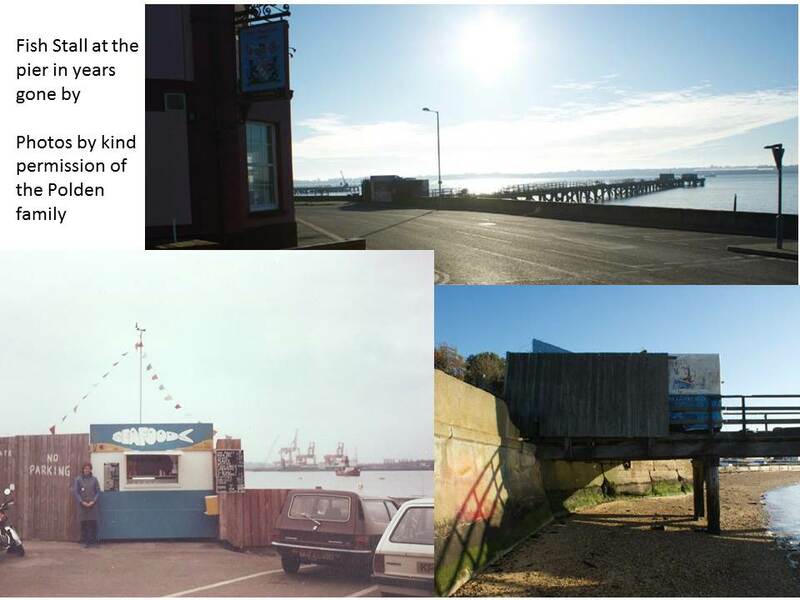 The pictures show the most recent structure on the land end of the pierin the 1980’s. The owners of the pier did commercial fishing, landing their catch on the hammerhead end, and selling it at the land end, some 650 feet away. You couldn’t get much better low food miles to travel ! The stall was partly on the pavement and partly on the pier, as there were no side platforms.